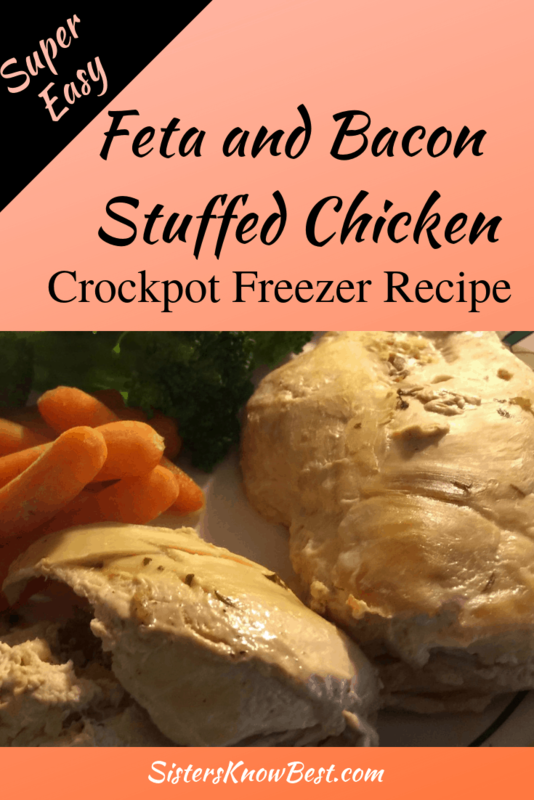 Feta ad Bacon stuffed Chicken Crockpot meal is a very easy recipe with asic ingredients. You can make extra and freeze for future use. Mix together feta and bacon. Cut a pocket in each chicken breast. Put a spoonful of feta and bacon mixture in each chicken breast. 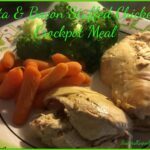 Place stuffed chicken breast in a gallon freezer bag, 5 in each bag. Defrost in refrigerator the day before cooking. 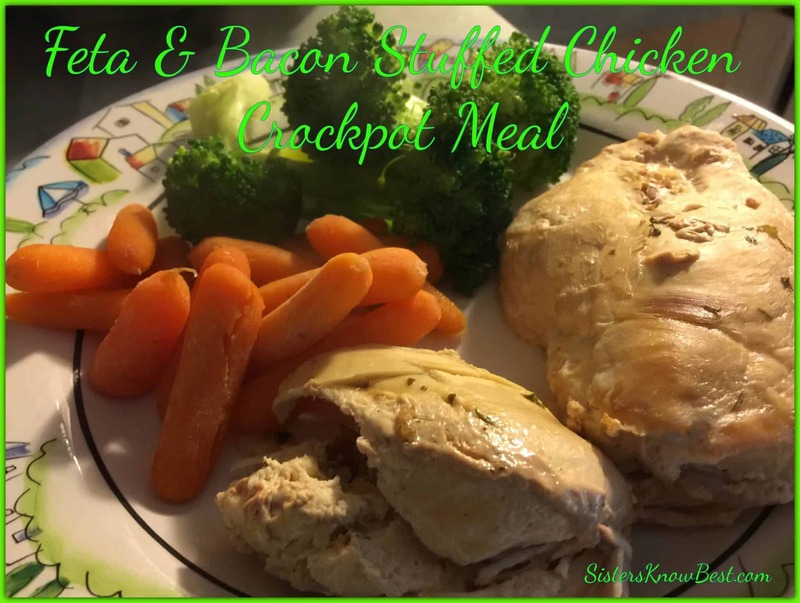 Place in crockpot, add chicken broth to crockpot. Make sure you completely defrost the chicken. Do not overcook. Chicken will dry out. If you prefer you can thaw and bake in oven at 350° for 1 hour. Of all the meals in Sisters Know Best Crockpot Meals for the Freezer Series, this one is my favorite. I love chicken and the tangy taste of the feta really adds a yummy zap to this!